The ERD Tender Course trains team personnel to properly line tend and participate within the public safety dive team in a non-diving roll. 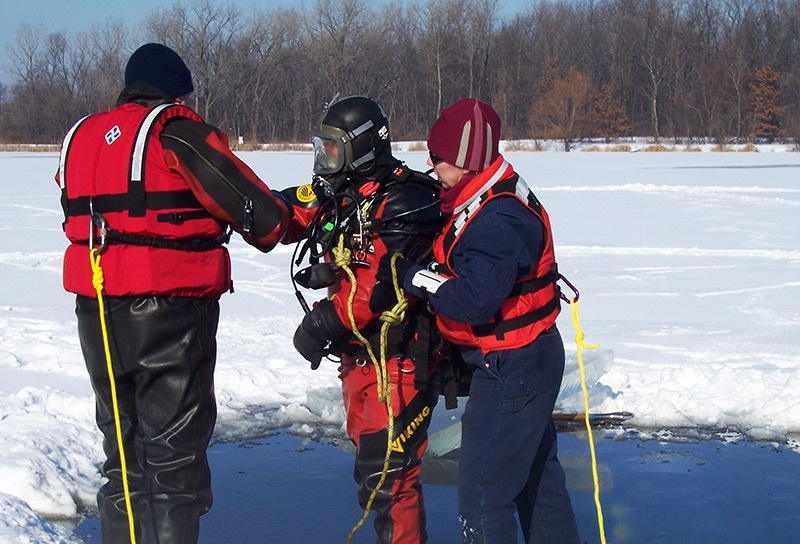 The ERD Tender role is so critical to the success of the mission and the team, some teams utilize their most experienced diver to fulfill the role. Tenders should expect to take lots of notes and spend time analyzing outcomes to be prepared for the next callout. Learning the proper PPE for the tender and spending long hours in that PPE, crime scene recognition, search patterns and decontamination procedures are some more of the topics covered. In addition, ERD Tender students learn and master tending skills in both confined water and open water settings. What’s in it for you and your team: a stronger team structure that is better rounded and prepared to handle any situation. How to Take This Course? Available as an Online Course:Start eLearning today! Find an Instructor for this Course: here. Find you local Dive Center: here.